These fail-safe isolators are ideal for isolation of diesel engines and generators used in construction equipment, recreational vehicles and off-road equipment. The low natural frequency allows them to be used for computer and electronic equipment when there is a need for a "ruggedized" installation. They are also excellent isolators for compressors, motors, pumps and other machinery when skid mounted. 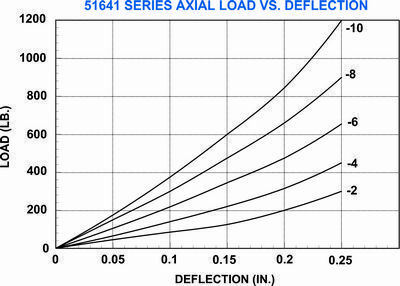 Axial to radial stiffness ratio is 6:1.